From eclectic hostels to skyscraper hotels downtown, we’ve scoped out a variety of lodging options around the city of Boston with the best locations, amenities and services to accommodate you and your group during your stay. You’ve arranged for transportation, sightseeing and meals, now all you need to make your student group trip to Boston become a reality is the perfect place to stay. While lodging in this metropolitan tourist hotspot can get expensive quickly, especially on a student’s budget, we’ve picked five options where the quality is worth the price. With impressive amenities, key locations and the ability to accommodate a large group, these picks will provide you and your students with the atmosphere and service necessary to fully relax and recharge after each exciting day in Boston. Hostels offer student groups the opportunity to experience Boston and its many attractions at a fraction of the cost of hotels. Hostelling International (HI) – Boston is no exception. Its modern, industrial-style facilities and amenities, such as a common room, game room, TV room and pool table, will let your students bond as they rest and unwind from long days of exploring. Rooms sleep four to eight people in dorm-style suites with bunk beds and individual lockers. There are private rooms for chaperones. Featuring free Wi-Fi, a kitchen, vending machine, laundry facilities, a library, a café bistro, conference rooms and wheelchair accessibility, this lodging option has all your group needs for a successful trip. 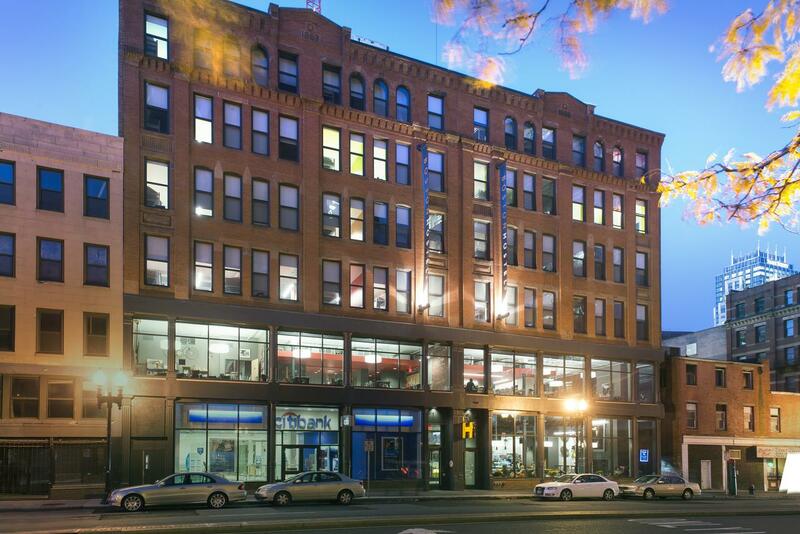 Thanks to the hostel’s central location between the city’s historic Theatre District and Chinatown, guests are less than a half-mile from attractions such as the Freedom Trail, Boston Common and Faneuil Hall. Groups of 10 people or more qualify for group rates. To learn more, check out the hostel’s website. For groups that want it all – prime location, spacious rooms and all the amenities to fill your students’ free time – look no further than the DoubleTree by Hilton Hotel Boston – Downtown. This option features a full-service Starbucks as soon as guests walk in, the on-site Wisteria Restaurant and Bar for dining, and 4,000 square feet of indoor and outdoor function space. Fitness fanatics will be pleased when they discover the hotel’s own fitness room, and will thrilled with complimentary access to the next-door Wang YMCA, which houses two floors of workout equipment, a basketball court, a walking or jogging track and a whirlpool. 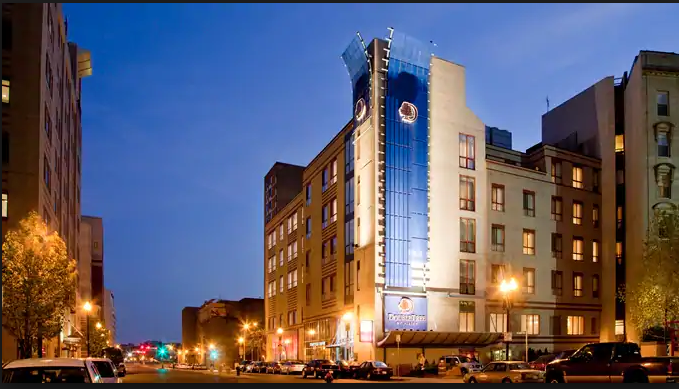 The DoubleTree is located near some of Boston’s major landmarks, being a mere half-mile from the Museum of Fine Arts, a mile from the Freedom Trail and a mile-and-a-half from both the Museum of Science and New England Aquarium. Interested group leaders can look into reserving rooms here. Another competitive option for reasonable student group lodging in Boston is the AC Hotel Boston Downtown. Owned and operated by the Marriott parent company, this location comes with all the basic amenities to please your students while being located only a little over a mile away from the Boston Tea Party Ships and Museum, Boston Common and Public Garden and a little under four miles away from Boston Logan International Airport. The free Wi-Fi, 50-inch TVs and 24-hour fitness center will entertain your students for hours, but when it’s time to get down to business, the hotel’s meeting spaces can accommodate anywhere from five to 140 guests for any purposes. Interested parties can fill out the event request form here to book one of the hotel’s 250 guest rooms and request a meeting space. 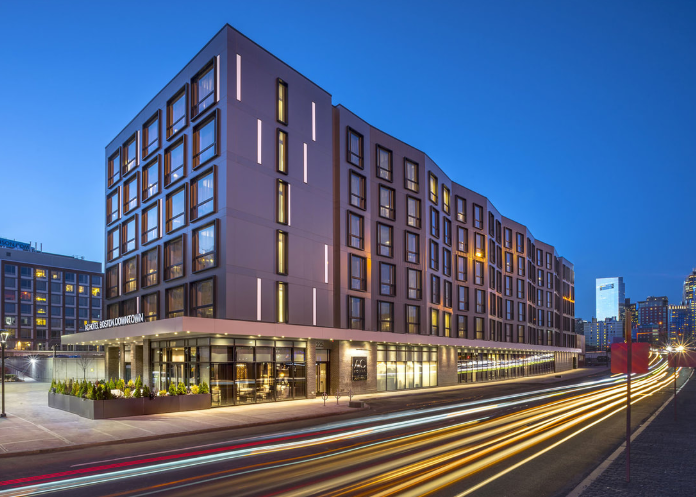 With an indoor heated pool, a classy seasonal rooftop lounge and private balconies, the recently-remodeled Revere Hotel Boston provides guests with all they need for a comfortable and enjoyable home away from home. Located amid Boston’s most notable attractions, guests will find themselves within walking distance from Boston Common, Fenway Park and the Boston Opera House and only three miles away from Boston Logan International Airport. Whether the group wants to stay in or dine out, Revere has both in-room dining upon request and its renowned on-site restaurant, Rebel’s Guild, which guests can contact for private dining options. The hotel offers 356 guest rooms and suites fully-equipped with amenities such as Wi-Fi and HDTVs with access to guests’ personal Netflix and Hulu accounts. Revere Hotel’s room capacity paired with its 42,000 square feet of event space are sure to accommodate groups of any size and need. To explore room options, check out the hotel’s website. 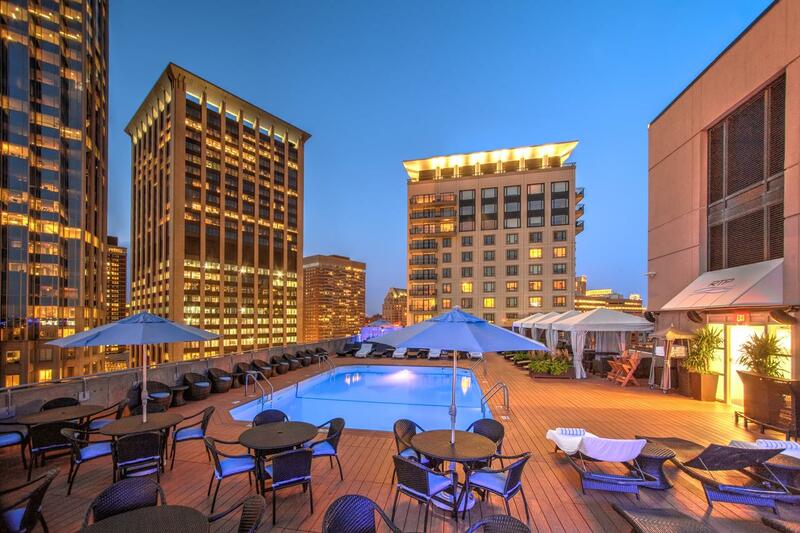 Known throughout Boston as home to the city’s only rooftop pool, The Colonnade Hotel promises its guests an experience of modern luxury unlike any other in Boston. The hotel is situated in the idyllic and scenic Back Bay neighborhood and is within walking distance of Newbury Street, a popular road filled with boutiques and fine dining options. 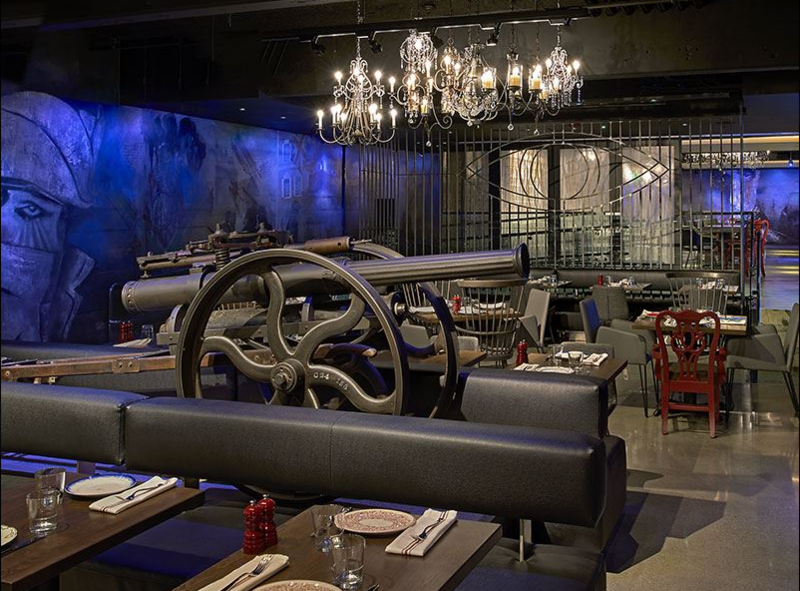 Guests can also choose to dine at the hotel’s beloved on-site restaurant, Brasserie JO, which serves French cuisine. Groups anywhere from two to 100 people can inquire about booking the Salon Prive for private dining. To accommodate large groups the Colonnade also rents out meeting and event rooms, which include a grand ballroom perfect for performance troupes looking for a venue. Students and adults alike will be delighted to hear that other amenities include Wi-Fi, HDTVs with 60 channels, a Keurig coffee and tea machine in each room, a 24-hour business center and a full-service fitness center. To book your rooms and see what else the hotel has available for its guests, click here.